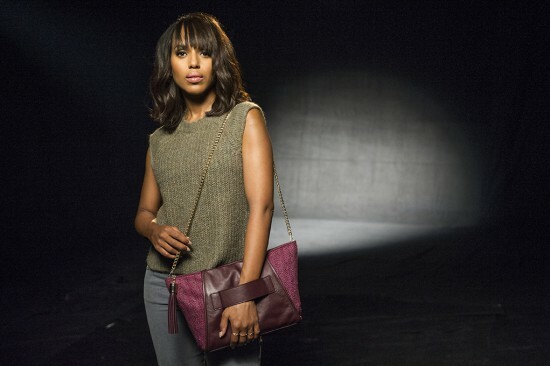 In what could be considered a timely marketing and awareness move by Allstate for a cause that’s recently garnered more media attention, Scandal star Kerry Washington has joined with The Allstate Foundation to raise awareness about domestic violence and the critical role that financial abuse plays in domestic violence situations. Washington is serving as the national ambassador for Allstate Foundation Purple Purse, the signature initiative that gets Americans motivated to combat domestic violence. Washington’s role as ambassador includes designing a limited-edition purple purse that will be distributed among community leaders, Allstate agency owners, Purple Purse community partners that work directly with survivors, celebrities and media to raise awareness for the cause. The purse represents the center of a woman’s financial domain and purple is the color of national domestic violence awareness. The Allstate Foundation is also distributing Purple Purse charms through Purple Purse Challenge participants to attach to a bag or purse and show support year-round. Washington also filmed a special Public Service Announcement featuring the purse and creating a call to action for Americans to get informed and involved.